Formlabs resin is now available in classy, classic high-resolution Black. Our new Black Resin is the product of the same rigorous research and testing that goes into all resins devised by our all-star materials science team, and adds another set of capabilities to the Form 1 desktop 3D printer. We’ve specially-tuned Black to be ideal for models with delicate features and fine details. It may print up to 30% more slowly than our other resins at the 100 micron setting&ndash;a result of the increased cure-time&ndash;but we think you'll find that the end result is more than worth the wait! 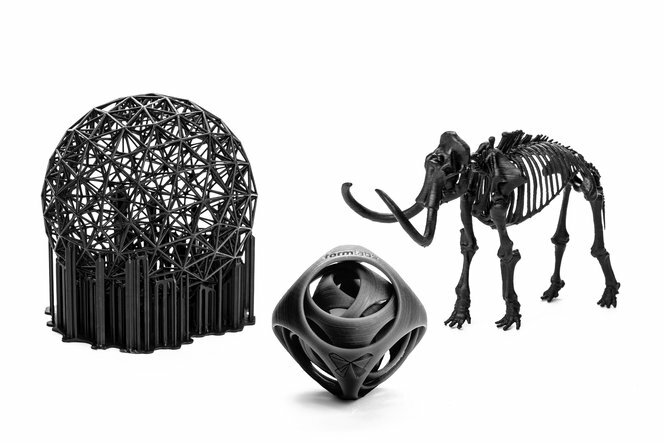 Black is available now from the Formlabs Store for $149 (€125). In celebration of our upcoming launch events, we couldn't help but print out a black tie and cufflinks, designed by our own Will Walker and modeled by Jeff Morin. We set out to study the post-cure process in detail in order to optimize final mechanical properties of printed parts. Download the white paper to learn more.